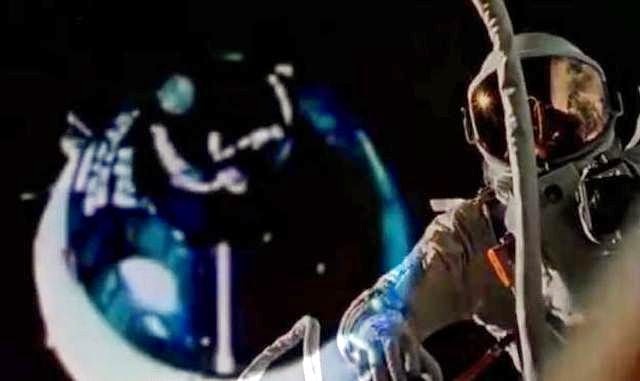 NASA UFO Sightings - Astronaut Eye Witness "They are watching us"
Before the Apollo program would ever be able to make the journey across the cis-lunar void to the Moon, NASA's astronauts first needed to learn how to fly, work, and live in space. Between 1965 and 1966, NASA flew an aggressive series of two-man missions into low-Earth orbit, where they practiced and tested many of the flying techniques, spacecraft systems, science and living skills that would be required to ensure that the voyage to and from the Moon was conducted as safely as possible. The flight program that NASA implemented in order to accomplish these lofty goals was known as Project GEMINI. In a mere 20 months time, 16 NASA astronauts flew a total of 10 missions aboard the GEMINI spacecraft, orbiting the Earth over 600 times while acquiring a wealth of space experience that in the following years would serve to help make the upcoming Apollo lunar program such a resounding success. The GEMINI astronauts were some of the first men to explore this new ocean over our heads that is known as 'space', and they did indeed see some amazing sights up there during their flights. Aboard each GEMINI spacecraft was a piece of equipment known as the "Voice Tape Recorder" (VTR). The purpose of the VTR was to give the astronauts the ability to verbally record any thoughts, comments, or observations throughout the course of each flight, primarily during the periods when they were not in radio contact with one of the MSFN (Manned Space Flight Network) ground stations spread out at various locations around the Earth. After radio contact was re-established, the VTR recordings made during the black out periods could then be "dumped" (down-linked) to the MSFN ground station below. Although originally classified, the transcripts of these VTR recordings from all 10 GEMINI missions can today be found in the NASA archives. These documents contain some very intriguing and revealing astronaut conversations that relate to various anomalies they were observing outside their spacecraft during the flights.